The tragic news of the crash of Ethiopian Airlines Flight 302 this past Sunday left us all wondering again about the safety of flight. We routinely purchase plane tickets, pack our suitcases and plod through airport security lines, thankful we don’t have to drive the whatever-hundred miles it is to our out-of-town business meeting. We leave safely and we return home safely. And then we are jolted back to reality by a news story such as what occurred over the past weekend. The aftermath of this tragedy brought a storm of controversy over the grounding of all Boeing 737 Max airplanes due to a similar disaster last year with the same model plane. Finally, it seems, agreement has been reached between the government and Boeing to take all 737 Max aircraft out of service until a full investigation can be conducted. We can all seemingly sigh a collective sense-of-relief at this decision. Allowing a physician to perform an abortion at term or while a woman is in labor solely on the assumption that life does not yet exist – when there is no conclusive scientific evidence to prove this – is the same thing as continuing to fly Boeing 737 Max planes, filled with innocent passengers, when there is no conclusive scientific evidence to prove the planes are safe. If, collectively, we will demand the grounding of all planes until evidence proves their safety for all humans, why will we not demand the ceasing of all abortions until evidence proves that life does not exist in the womb? Ms. Nelson’s words ring true: Lives must come first. And America’s reputation is at stake in something even more important than aviation. May we be brave enough to “set the standard for safety, competence, and honesty in the governance” of our laws to protect the value and sanctity of all human life – before, during and after birth. Several years ago, as a young pastor’s wife, I sat around a breakfast table with several of the older ladies in our church. They gathered once a month for a time of prayer and I enjoyed getting to know them better in this way. 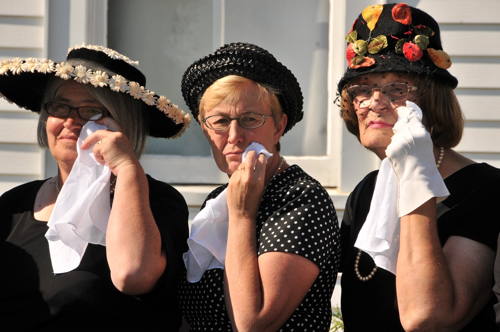 On this November morning, the ladies began reminiscing about where they were when they heard that President Kennedy had been shot. Many had been home with their children and heard it on the TV. Some received phone calls from a neighbor or family member. As they circled around the table, I was contemplating my answer – I was 9 months old at the time and didn’t remember a thing. But something interrupted the circuit around the table and the subject changed to an even more somber one—where were you when you heard about Pearl Harbor? Now I was really in a pickle. Not only was I not alive when Pearl Harbor took place, my mother would not be born until two years after the events of Pearl Harbor! I didn’t even feel like a young pastor’s wife anymore. I felt more like a toddler who had accidentally wandered into the Adult Sunday School class – bewildered and trying to find my way home! I have a new appreciation for that conversation those women shared on that November morning. Today, September 11th, this question has gone around again: Where were you when you heard about the 9-11 attacks? And this time, I remember exactly where I was. I had been trying to get on our dial-up Internet service for several minutes, without success. Finally, I decided something must be slowing things down. So I decided to wait a bit and turned on the TV to watch a bit of news instead. To my utter shock and amazement, the screen was filled with images of the World Trade Towers on fire, the Pentagon burning. Within about 10 minutes of turning on the TV, the first tower fell; then the second. I sat in stunned silence, tears flowing down my face, hugging my 6-month old daughter as I tried to grasp the reality of all the children whose parents would not come home that night. Like so many, I sat in silence for several hours, watching the catastrophic events unfold and the rescue efforts begin. My older boys came home from school, and we watched some more. No one had to say it – we all knew we were witnessing a defining moment in history, one that would change the world forever. My daughter, six months old at the time, is part of the generation that does not remember the events of September 11th. She knows of them from the pictures she has seen and the history lessons she has heard. But it is not personal to her. No doubt she will experience a defining moment of history in her lifetime. My wish is that she will witness a historic moment that brings out the best in people. A moment that is defined by peace, not war; love, not hatred; compassion, not violence. September 11, 2001 may have been one of the worst days in our country’s history. But as someone today said, September 12, 2001, was one of our best. As I shared in a previous post, I have been on a journey toward finding minimalism in my life. While minimalism often brings with it some challenging concepts – such as reducing possessions and evaluating priorities – I believe we can also experience some fun on this new journey. One example for me is a current painting project I have taken on. This project will refresh some key space, save the cost of replacement, and help me reduce the amount of items I have stored. All of these are positive steps toward minimalism. Project pictures likely to come later! For now, here are some timely tips I learned from the amateur painting-slash-minimalism project I am currently tackling. You will never hear these tips from a professional, but I thought they might come in handy if you are a painter like me. Tip #1: If you own a pet with hair of any kind, you will get pet hair imbedded in paint on the object you are painting. In spite of your best efforts, that pet hair -long or short, light or dark – will get stuck to something, and you won’t be able to get it off. Ever. But don’t worry – only you will know where that pet hair is stuck. It can be your little secret – unless, of course, you decide to point it out to your family or visiting relatives, in which case they will remind you about it for generations to come. Tip #2: If you don’t take your Instant Pot out of the cupboard, you will get paint on it. I know you won’t PLAN to get paint on your Instant Pot. I know it seems like there is plenty of space between your paint brush and your favorite appliance. But trust me on this one. Take your Instant Pot out of the cupboard. Now. Tip #3: If you get a fuzzy on your paint brush, it will never go away. You may think you got rid of it after you scraped the brush on the edge of the paint can ten times or wiped the paint brush clean with a wet paper towel. But no, it is still there – hiding between the soft bristles of your brush, waiting to pop out at just the right moment when you are painting that big space everyone will see. And after it jumps out and plants itself on this focal point, you will spend the next 15 minutes trying to pick it off, at which point you will have messed up your paint job so badly you will have to start that section over. Tip #4: If you hit a slump in the middle of your painting project, don’t despair. There is hope. It is found in your freezer. It looks like an ice cream container and it is labeled with the words “Chocolate Peanut Butter Supreme.” Take it out of the freezer – you need it. Then grab a spoon – a large spoon – out of the drawer and go sit on the couch for twenty minutes. Take the lid off the container and proceed to scoop out the ice cream. Keep eating it until you find your way to the peanut butter swirls buried deep in the middle. Peanut butter is protein. Protein is energy. You need energy – in large quantities. After you have smoothed over the edges so no one will notice how much you ate, return it to the freezer. Now you are ready to tackle the rest of your painting job! I hope these tips are as helpful to you as they have been to me. And here’s to more fun on the journey toward finding minimalism! I think there is something inside each of us that longs for something perfect. We don’t expect life to be perfect – we have been around too long to set our sights on that. But can’t something be perfect? After all, we have the science, the technology, the strength to accomplish that, don’t we? Kate Spade may have created the perfect purse. Anthony Bourdain may have created the perfect recipe. Successful careers and lifestyles at this level can lead us to put these individuals in a different category than ourselves – not perfect, but closer to perfection than the average. Sadly, as we have learned in the past 48 hours, this is not true. For reasons that are not yet entirely clear, Kate Spade and Anthony Bourdain each experienced great distress to the point that, for each of them personally, life no longer seemed worth living. So the reminders in this tragic story include these: Let me be the first to stop assuming that those around me who seem to be living the idyllic life are indeed trouble-free. Rather than comparing, may I develop a greater awareness and a deeper compassion. May I listen more intently. May I understand others better. May I ask more questions and offer more help. Furthermore, let me be the first to stop the comparison game, always measuring my life situation against someone else’s. Instead of wishing for the perfect home, job, marriage or body that someone else has, may I instead develop a spirit of contentment, embracing what is not perfect and then sharing that contentment with others. In the spirit of the above illustration, let’s stop looking for the perfect purse and appreciate the one we have. My journey toward minimalism began – quite by accident – on a spring day nine years ago. At that time the term “minimalism” had not entered our mainstream vocabulary like it has today. So I did not set out to become a minimalist. I simply had a sudden burst of energy and decided to deep-clean my bedroom. 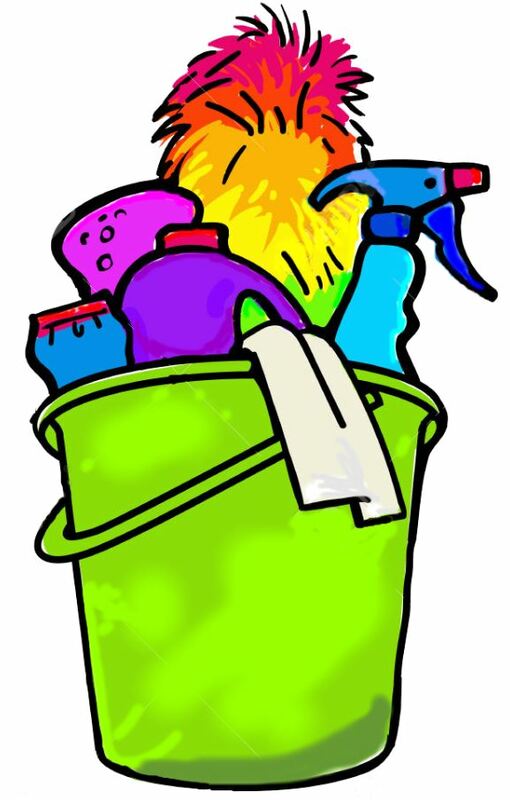 Plus I had read an inspiring article about how any room could be cleaned efficiently in 30 minutes if you had all the right supplies (arranged in a cute and tidy cleaning bucket, of course). So after a trip to Target to get just such a cute and tidy cleaning bucket -and a few fun cleaning tools – I was ready to tackle the job. Or so I thought. Having written down the basic instructions on a 3×5 card, I read Step 1: Remove knickknacks from all surfaces. Are you kidding me? As I glanced around the room, I suddenly saw all my stuff- pictures in frames, souvenirs, clay candle holders made by my children in first grade – in a whole new light. Determined to push through, I piled all the knickknacks on my bed, ready for Step 2: dust all surfaces, top to bottom and left to right. Step 2 proved as daunting as Step 1. Who knew that much dust could fit on top of a ceiling fan blade? And of course the ceiling fan is directly over the bed, so all the dust fell on top of the knickknacks I had just placed there. Needless to say, things continued to go downhill as my dream of an efficient 30-minute cleaning plan disappeared. Three hours later, I was finally done – and done in. I had known for years that I was an inefficient house cleaner. I could make the surface look good, but I knew what was hiding everywhere. What I didn’t know was WHY I was such a bad house cleaner. I had attributed it to lack of a plan, lack of self-discipline, a too-busy schedule, not making my kids help enough…all kinds of reasons. But on that particular day, I saw my house – and myself – in a new light. My not-so-clean house wasn’t entirely due to lack of discipline. It was due to too much stuff. I had to clean before I cleaned. I couldn’t dust until I moved stuff. I couldn’t vacuum until I had picked up stuff. It was exhausting. On that first day of my journey toward minimalism, I took my initial step to freedom: I looked long and hard at my knickknacks, kept a few significant pictures to put on my dresser, and got rid of the rest. In fact, I took down two shelves on the wall that held those knickknacks so I wouldn’t have to dust those anymore. By the end of the afternoon, my room looked bigger, brighter and more organized. And I felt a greater sense of accomplishment than any dusting job could have given me. I had truly made a difference- small though it seemed at the time – in my room and in my life. Since that day I have maintained a slow but steady determination to understand and embrace a perspective of minimalism. I continue to learn more about myself and my relationship to things. Some of it has been easy, some of it has been hard. Sometimes I laugh, sometimes I cry. Sometimes I have a plan and sometimes I am caught by surprise, unsure of the right thing to do. But still I press on. Joshua Becker, on his blog Becoming Minimalist, once shared this quote from Henry David Thoreau: “The price of anything is the amount of life you exchange for it.” Now when I face a decision related to the more-or-less of my life, this quote reminds me there is more to consider than just the actual price tag. 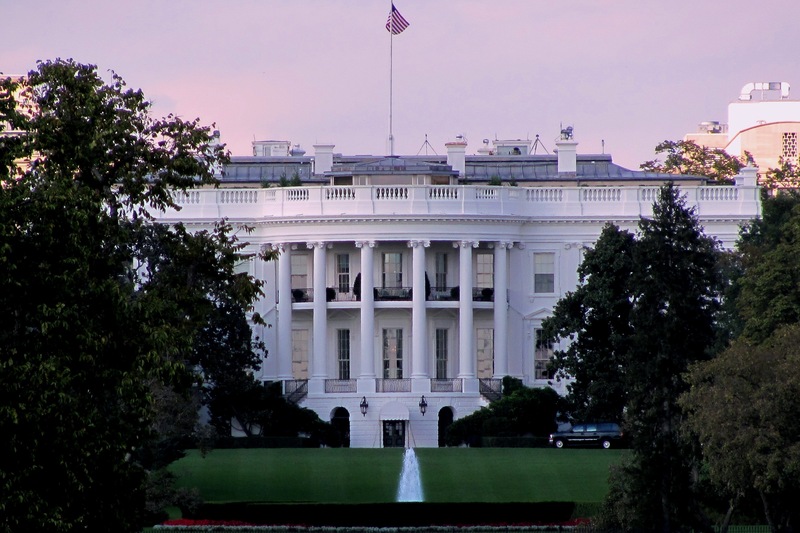 On Saturday, April 28th, in Washington, DC, the White House correspondents’ dinner became the talk of the town after comedian Michelle Wolf’s jaw-dropping diatribe left even the most desensitized media members in the room squirming in their seats. In attendance was Chris Cillizza, CNN’s editor-at-large, who recorded his personal real-time responses to the scenario in his Sunday article. One of his takeaways regarded Wolf’s blast of Vice President Pence’s stance on abortion, in which she stated, “He thinks abortion is murder which, first of all, don’t knock it ’til you try it — and when you do try it, really knock it. You know, you’ve got to get that baby out of there.” Cillizza responds in his article, “You can hate abortion and think it is murder. You can feel as though it’s not the government’s business what you do with your body and how you handle your own life. But, does anyone celebrate abortion — even jokingly?” Cillizza’s rhetorical question can have only one answer: No. Respect life. On this same Saturday, April 28th, in Liverpool, England, a 23-month old boy named Alfie breathed his last breath, his parents by his side. A chest infection brought Alfie to the hospital in December of 2016. Further medical complications followed, leading to a diagnosis of a degenerative brain condition which was considered incurable. Much controversy surrounded this situation as Alfie’s parents first sought permission to take him to another hospital for treatment and then sought permission to take him home. Both requests were denied. As reported by the Washington Post, Alfie’s father appealed to Pope Francis for assistance, which was granted by the Pope but denied by the British court system. Pope Francis responded with these words: “Let us pray that every sick person might always be respected in their dignity and cared for in a manner adapted to their condition, with the concordant input of their families and loved ones, of the doctors and of other health care workers, with great respect for life.” Later, the Pope shared these comments to a general audience: “The only author of life, from its beginning to its natural end, is God,” he said. “It is our duty to do all that is possible to safeguard life.” Safeguard life. On March 4th, in Cleveland, Ohio, a disaster occurred at a renown medical facility. A storage tank at a fertility clinic malfunctioned, causing 4,000 frozen embryos from 950 patients to be no longer viable. This disaster created heartbreak for so many who had hopes of one day bringing their children into the world. It is not surprising that multiple lawsuits have followed, resulting in a judge ordering the cases be consolidated to expedite the process. One case has been granted an exception from the consolidation because it is an action for “declaratory judgment”. In other words, this couple is not seeking any award for damages. An April 24th article posted on cleveland.com explains: “Bruce Taubman, the Pennimans’ lawyer, filed a separate lawsuit with a different judge asking the court to determine whether their embryos were human lives. The Pennimans maintain that UH treated their embryos as chattel, or property, and has only offered to reimburse them for the production of the embryos, not for the loss of a potential son or daughter. The Pennimans ‘view the embryos as patients of UH who should have been protected as such,’ their lawsuit says. ‘They contend that life begins at conception, meaning the embryos have the legal status of a person,’ according to the lawsuit.” The Pennimans have asked the judge to define life. The Ohio State Supreme Court ruled in a 1985 case that a viable fetus is a person and that a fetus begins at conception. It seems that, at least in Ohio, the beginning of life has already been defined, and, as such, provides the underlying argument for the Penniman case. Protect Life. The 1973 Roe v. Wade decision may have been a benchmark moment in the cultural landscape of this century, but the issues go much deeper than that. If anything, the 1973 US Supreme Court decision moved us out of the relatively calm waters of casual considerations regarding life and catapulted us over a cavernous waterfall into a whirlpool of chaos with its rippling repercussions. And I think we are drowning. Only when we renew our commitment to protect life from conception to death, only when we choose to respect life and to safeguard life, will we find the anchor we need to survive this cultural storm. I have a little hobbit hole at my house. It is quite a nice hobbit hole, if I do say so myself. It is cozy and quiet, with just enough room for one person – me. Now this is not your average hobbit hole, for no one can see it but me. It might look like I am taking a nap under a warm blanket – but I am actually in my hobbit hole. Or you might find me sitting in a comfy chair in a room by myself, with a half-gallon of ice cream and a spoon in my hand — yep, in my hobbit hole again! Bilbo Baggins lived alone in his neat and tidy hobbit hole, complete with pretty dishes and doilies. He enjoyed his quiet mornings sipping his tea and reading his books. Life was organized, ordinary and pleasant. No guests, no risks, no trouble – until the day the dwarves invaded and Gandolf challenged him to an adventure. Bilbo Baggins reluctantly accepted Gandolf’s challenge, left his hobbit hole behind and embarked on the adventure of a lifetime. Sometimes adventure calls my way and I run after it. Other times, I run away from it – right back into my hobbit hole. This has been true of my attempts to venture into the world of publishing. On brave days, I embrace the challenge of writing a story or article in response to a submission call posted on a website. I love the exhilaration of seeing words come together to create something new. But there are other days when it seems the words do not fall on the page with ease or a rejection of my submitted writing comes in an email. On those days, instead of running towards adventure, I retreat into my hobbit hole where it is safe and solitary. Sometimes I even grab a half-gallon of ice cream and a spoon on my way. 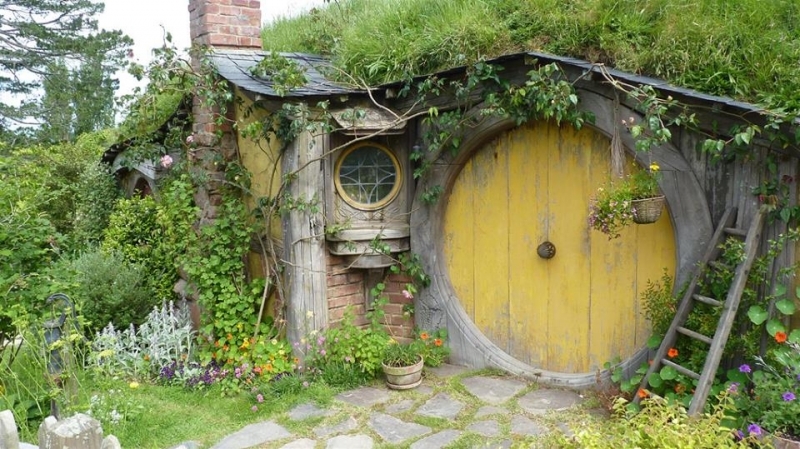 Now there is nothing wrong with having a hobbit hole, or spending a little time in it, for that matter. The real challenge is this: I can’t stay there. The next adventure is awaiting, the next challenge is around the corner. If I do not embrace it, I will not learn, I will not grow, I will not succeed. I will just spend the rest of my life arranging dishes and doilies in my hobbit hole. So I have written this post as my own personal challenge to try again. To embrace another opportunity. To learn more. To pursue success. Bilbo Baggins, I am right behind you, ready for another adventure! Technology is usually my friend – except when it is not. My latest episode of Me Vs. Technology occurred at 1:30 a.m. this past Sunday, when I accidentally locked my laptop keyboard without a clue on how to unlock it. What a frustrating end to a very long day! I have learned to love the many benefits of technology. But there is one aspect of technology I have not successfully embraced: The E-Reader. Call it a Kindle, a Nook, whatever. I have not been able to set aside real books in exchange for digital ones. Something about the printed page draws me into a story in a way that a backlit screen never does. My family’s love of the printed page is evident in the two 6-ft tall bookshelves that surround our fireplace. You can find everything there- from cookbooks to the Hardy Boys, history books to theology books, and more. Today as I was searching for a particular book, my eye caught a corner of the bookshelf that holds a special collection: our antique books. I haven’t looked at them in a while. We never set out to collect antique books. They have come to us randomly, from grandparents’ collections, a parent’s library, and other sources. But our mini-collection fits us perfectly. My husband loves history, especially Lincoln history. One antique book, written by Tribune correspondent Albert Richardson and published in 1865, is titled, The Secret Service:The Field, The Dungeon, and The Escape. Its 500+ string-bound pages tell vivid tales of a reporter traveling among the troops, fields and towns of the Civil War. A second string-bound book, The Life and Public Services of Abraham Lincoln, also published in 1865, includes a detailed record of Lincoln’s life, rise to leadership, and untimely death. Holding these books in my hands feels like I know someone who was actually there. My love of Literature and English are well-represented in the 1892 edition of The Deerslayer by James Fenimore Cooper, accompanied by a book titled Child Life, an 1872 collection of poems by John Greenleaf Whittier. These reside next to Webster’s Pocket Dictionary, copyright 1924, and The Elements of English Grammar, first owned by Sarah Grimmer who signed and dated the front page in 1857. My husband, as a pastor, has great admiration for the life and work of Charles H. Spurgeon, so The Life and Labors of C.H. Spurgeon is meaningful to him. The front page contains a beautiful hand-written message, “To our dear pastor, wishing him a Merry Christmas” – signed, Mr. and Mrs. F.H. Tyler, 1885. An 1882 printing of The Treasury of David, Volume I, also by Spurgeon, complements this well. My favorite one is a small Bible printed in 1840. It is signed by Henry Tram, April 9th, 1845 – 173 years ago today. The message written below the date reads, “Search the Scriptures”, with a notation of St. John 5:39 and Psalm 107. I wonder what occasion brought about the gift of a Bible on this day 173 years ago? The gift of a book – this book – having been passed down for several generations, resides on our bookshelf today. There is something valuable, an unstated preciousness, in the history that comes with a book. The finest hand-held devices, the fastest literary technology, will never replace this. I doubt we will be passing down our Kindles for our children and grandchildren to read. There is no personal history in an e-book. No handwritten note, no beautifully-scribed signature. No worn pages from re-reading a favorite passage. Maybe Henry Tram had it right, 173 years ago, when he gave this book, a Bible, as a gift. Perhaps a book is one of the best gifts of all! In other news: Did you know that in Japan you can pay an actor to impersonate a relative, spouse or other needed acquaintance to fill a need at a social event or on a personal level? The business, called “Family Romance”, boasts a staff of 800 actors ranging in age from infants to the elderly (see full article here). The CEO, Ishii Yuichi “believes that Family Romance helps people cope with unbearable absences or perceived deficiencies in their lives”. He goes on to say, “I always ask every client, ‘Are you prepared to sustain this lie?’ ” Based on the success of his business, it is safe to say that most people enter into such a contract with full intent of doing just that – sustaining the lie. I must admit, reading about the prevalence and profit of the fake-friend market was shocking to me. But after further reflection, I realized I should not be surprised. It was inevitable. It simply reflects an inverted value system we have already adopted wholesale in our society. What are these inverted values? Quantity over quality: In many instances, the quantity of social media friends a person has matters more than the quality of those same relationships. When I attended a writer’s conference five years ago (an excellent conference, I might add), I was disappointed to learn that publishing companies are initially more interested in the extent of your social media presence – your platform – than your writing. Building an audience is the key to opening the door to becoming a published writer. Personally, I struggle with this. I would rather invest in deeper relationships than work hard to enlarge my social media follower base. But that’s not how it works these days. And based on the “fake friends” that people are paying for, I don’t think we are better off for this. Perception over reality: “Fake news” has become a staple of our society. It appeals to our emotions, our values, our struggles. In this post-truth age, objective facts seem irrelevant in comparison to a person’s everyday real lives and experiences. So it is not surprising that the perception of having a lot of friends has become more important than the truth. It is more important to rent a husband to join in on the family reunion than to face the reality of a divorce that happened. Personal gain over mutual enrichment: Rather than friends being a source of mutual encouragement and support, people are seeking out friends – even fake ones – for their own personal gain. Fake friends don’t require anything from us. They don’t get mad at us or hurt our feelings. We don’t have to remember their birthdays or send a Christmas gift. We would rather write a check for fake friends than listen to a real friend’s problems. I don’t know what the actual price tag is for a fake friend, or for 20,000 Twitter followers. I don’t want to know. I desire to fill my life with meaningful relationships characterized by mutual honesty, support and authenticity. And that, my friends, is priceless! From a storytelling perspective, the Christmas season offers a premium selection of fascinating characters. Depending on which story line you most enjoy, the main characters range from Santa Claus to Mary,Joseph and the Christ Child of the Nativity scene, from Ebenezer Scrooge to the infamous Grinch who stole Christmas. But often there is “the story before the story”- events that take place prior to the main plots mentioned above -giving the story even greater meaning. For example, consider what the story of Ebenezer Scrooge would be like without the account of the previous miserly life and miserable death of his partner Jacob Marley, who came to warn Scrooge of the three spirits who were to appear to him. In the end, Scrooge is eternally grateful for the visit of this old partner he once doubted. Well known to many, the Nativity story also has a “story before the story”. We learn of a surprised couple who discover they are going to have a baby in spite of their old age. Zechariah, a devout Jewish priest, is fulfilling his turn burning the incense in the inner sanctuary of the temple when an angel appears to him, announcing that he and his wife Elizabeth will have a son in just a short time, whose name will be John. Zacharias, who had been praying for this exact thing to happen, is stunned. He is troubled. He is afraid. In his fear and doubt, he utters seven fateful words – “How can I know this for sure?” The angel replies with two seemingly unrelated answers: First, the angel tells him who he is – Gabriel – and WHO sent him – God. Second, the angel tells Zacharias WHAT God’s message is: he will be unable to speak until his child is born, because of his doubt. Immediately Zacharias is struck mute and remains so until the birth of his son, when he writes down with a now-obedient and trusting heart what God had already told him – his son’s name will be John. If I were to be struck mute every time I doubted God’s power and ability to do what He has said He will do, I would have been unable to speak most of my life. It is embedded in human nature to doubt. 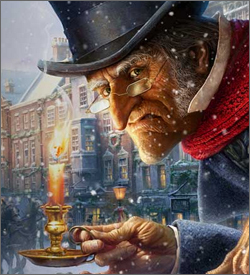 There is a little bit of Scrooge in all of us. Consider Scrooge again – he doubted the reality of Marley’s ghostly appearance and message -“there was more of gravy than of grave about him”! So Zacharias is not alone in his doubt. And we are not alone in our doubt either. Zacharias just wanted to know for sure. Does that seem so bad? Why would he be issued such a dramatic rebuke for such a seemingly-innocent concern? The angel Gabriel’s response sheds some light on this. Zacharias wanted to know how God was going to fulfill His promise in spite of their old age. Gabriel’s answers point instead to WHO sent this message – God, and WHAT this glorious message is: their son will be great in the sight of the Lord and will turn many to the Lord their God. For Zacharias, his doubt resulted in over nine months of dealing with the inability to speak. What does my doubt result in? As I watch the story of my life unfold, it is tempting to always be looking ahead and trying to figure out the HOWs of life – how everything is going to work out. This Christmas, I want to learn from the mute Zacharias and fix my eyes on the WHO of Christmas, the Almighty God of Heaven, and WHAT God did at Christmas when He sent his son Jesus as a Babe in the Manger who would later die on the cross to save His people from their sins. Much like Scrooge, who discovered that he had in fact NOT missed Christmas – it is not too late for you and me to set aside our doubt and embrace the faith found in the very heart of the Christmas story itself. May God bless us, everyone!